Recognize the room? 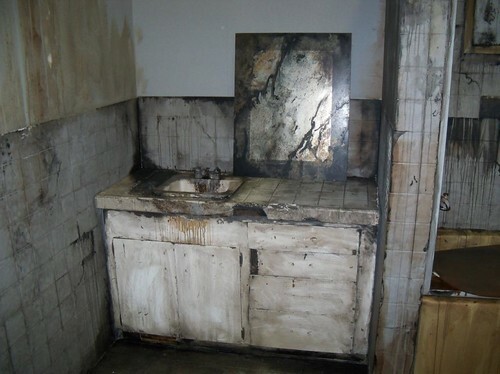 Probably not, but some of you may be able to place it in the world of The Last of Us. If you can’t figure it out, watch the announcement trailer and our E3 demo for some clues. For everyone who stops by to check out the demo, we’ll have exclusive PAX Prime 2012 t-shirts for you. Over the course of the show we will also be giving away 11×17 posters to hang on your wall or plaster around town. The poster features custom artwork by Alexander Iaccarino — That Kid who Draws — made specifically for PAX Prime. It’s pretty amazing. 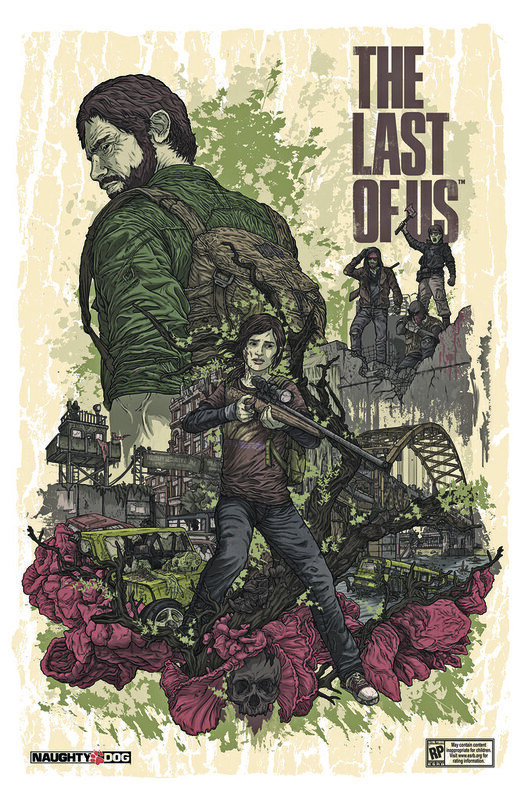 The Last of Us Game Director (The) Bruce Straley will be at PAX Prime Saturday, September 1st from 5:00pm to 6:00pm and Sunday, September 2nd from 11:00am to 12:00pm to sign your new posters. A few random, lucky attendees of the signing will walk away with some very limited edition swag. Head over to Collider.com on Wednesday, August 29th for more about Alexander and our very cool poster, as well as a surprise announcement about the poster itself — which will reveal what the limited edition swag is. The demo and the signing will take place at the PlayStation Booth (that’s Booth #222). If you come to the booth in Joel or Ellie cosplay we’ll have a very special giveaway for the first five people that show up. 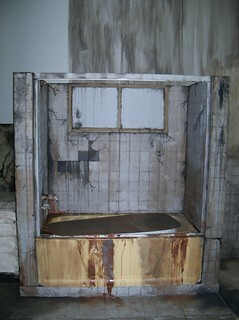 We’ll also try to snap your photos and get your mug up on the Naughty Dog Facebook page. So grab a flannel shirt, grow a beard (or don a ponytail), shoulder your favorite backpack and come see us! I really enjoyed uncharted 2 but didn’t like 3 much. All the hype for this game has me curious but i am honestly just sick of zombie type games, no matter who the developer is. Hope whenever the demo hits psn it changes my mind. I am prepared to fly to Seattle for that shirt!!!! Is there any other way I can get one!? It’s a PAX Prime exclusive. Sorry! Ohhhh Weeee. That poster is whats up. Wow. Nice. I think I might have to hunt down one of those T-shirts. I got me a red Yankees cap to go with that…..Summer Flow right therr. Look at them wrinkle!!!!! not the ones on the shirt. Is there anyway to get that shirt if we wont be at PAX? A giveaway perhaps? Please? Hmmm. Maybe. We’ll see what happens with the PAX Prime stock we have. The Last of Us will not support 3D. Thats some sick swag. Those shirts would look better black though. Hype for TLoU increasing. We did it on black for San Diego Comic Con. Limited run. I would love a shirt, wanted one since the last ND video posted on the Sony Blog. You have to let us buy one. By “Buy” I mean send me one free of charge but, I want one. Come on, I really need this t-shirt in my life. I want one for weekend wear, one for the gym and another just cause I want one. More color? Have I expressed yet that I want this t-shirt? Cause I could if you want me to. Those are photos of the booth. The booth was designed from screenshots. @Ryumoau – Last of Us isn’t a zombie game. This will be the first booth I go to at PAX on Friday! I’ll at least be getting a t-shirt and poster. I probably won’t go to the signing, since I’m not a fan of “random lucky people” getting swag. I’m absolutely excited for this game and I’m looking forward to seeing the demo this weekend! Zombies….infected, theres no difference. Its the same tired trope used in too many games. But like i said before, i’ll await a demo to see if Naughty Dog has anything interesting to add to this tiresome trend. Not 100% on NYCC plans yet but we hope to be there in some way. Personally, as you can tell by my avatar, I definitely want to make it happen and see the awesome fans of that fine city! I’m just curious, have you seen the few videos that Naughty Dog has already released of The Last Of Us? The reason that this is not really a zombie game is because it is not focused on the infected. Most of the combat I believe is against regular people. This is typically a survival game focused on story rather than just shooting the brains off of zombies. The only times I believe I have seen the infected was with the very first video released at the SpikeTV Video Game Awards Show. I don’t think they have shown them since then. Naughty Dog certainly knows the zombie genre has become a tiring one. But we should all know by now that Naughty Dog knows how to take it to the next level. Any prizes if we come as Nick Suttner and rock a beard? I love the give way t-shirts. I still have the “kitty got wet” and LBP 2 zipper shirts. Why must you guys tease us with those shirts and posters? Especially when most of us aren’t even going?!! Here’s an idea… why not release these shirts OR other past ones in a “naughty dog” store or even a SONY merchandise store would be nice…. I’m sure many other fans wonder the same thing, when you could be making easy money with jak and daxter / uncharted / last of us / naughty dog shirts, I know i’d buy more than a few. Really a missed opportunity for ND and SONY as a whole in my opinion. 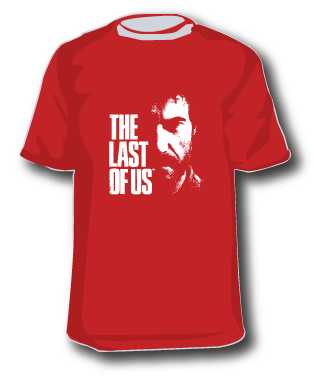 will these shirts be available for the custom characters in uncharted 3 multiplayer? Argh I wish I was going to pax. I love everything naughty dog does, I just hate that there games are so short. I literally beat all the uncharted games in a week or two.